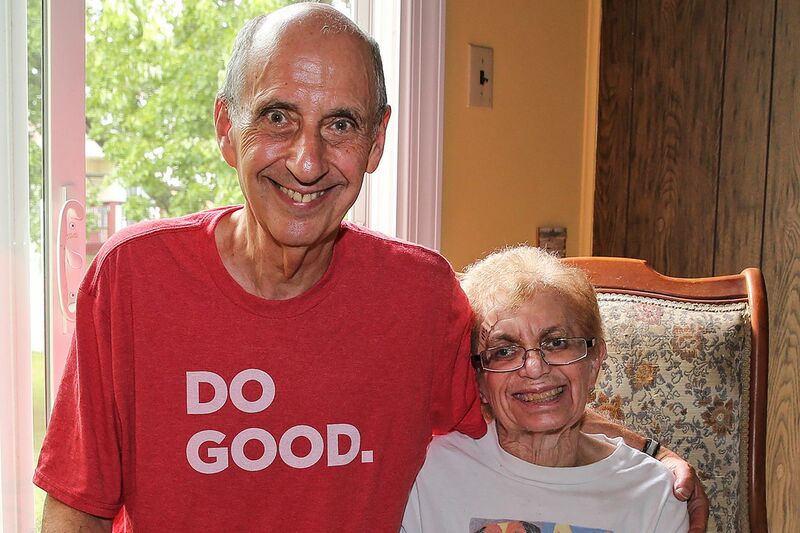 Bruce Rubin of Lansdale and his 73-year-old wife Gail. Gail spent three days in the hospital after taking a bad fall. After three nights in the hospital following a fall, 73-year-old Gail Rubin learned she would need rehab in a skilled nursing facility before she could go back to her Lansdale home. Twenty-five days later, Rubin left rehab walloped with out-of-pocket expenses totaling more than $9,000 and a hard lesson in the high cost of Medicare's complicated rules. Saturday marks the start of the annual open enrollment period, in which Medicare beneficiaries are urged to study their plan options. It's a good time to assess how your health status, or what your plan covers, may have changed. It's also a good time to get familiar with potential pitfalls. State and federal lawmakers have tried to fix the notorious problem that Rubin and thousands of other patients have faced when what seems to be a bureaucratic decision at the hospital ends up costing them later when they need skilled nursing care. But the legislative fix to alert patients who are placed in "observation status" has not worked for people such as Rubin. "I had never heard of observation status before. Absolutely never," said her husband, Bruce Rubin. Abington-Lansdale Hospital "didn't explain we'd be on the hook if Gail needed to go to rehab." If you go to the hospital and doctors consider you too sick to go home but not sick enough to be admitted as an inpatient, you could be labeled an observation patient. You may be in the hospital overnight or longer, getting tests and care just as an inpatient would. But if you're covered by Medicare, the label matters because of how the mammoth program for seniors and the disabled pays for various kinds of care. It all began in an effort to rein in spiraling hospital charges. But for a minority of patients who need skilled nursing care after hospitalization - such as Rubin - it can have costly consequences. In fact, several states, including Pennsylvania and New Jersey, require hospitals to have patients sign a document acknowledging that they know they are being held under observation status. Gail Rubin was tired, sick and in pain when she got the paperwork. Hospital administrators "said they told her at 3:30 a.m.," Bruce Rubin said. "A bruised 73-year-old woman with severe abdominal pains and breast cancer who had just had a bad fall. She didn't understand." Elizabeth Cannon, 85, had a similar experience after she took a nasty fall last November at her Chadds Ford home. Her daughter, Cynthia Morgan, met her at the emergency department at Riddle Hospital in Media. A nurse asked Cannon to sign a form acknowledging that she was under observation. "I heard it, I didn't know what it meant," said Morgan. "Nor did my mother. She signed." Cannon spent 61/2 days under observation at Riddle, which is part of the Main Line Health system. She was discharged to a nursing home, where she died four months later. Her daughter paid $40,000 for her mother's care there. Hospital officials don't much care for all this confusion, either. "It's in our interest to admit patients to inpatient status," said Jeffrey Wanner, medical director for utilization management at Abington-Lansdale. "We get paid a lot more for it." But observation status was introduced to rein in costs. So if Medicare determines that a patient was not really ill enough for inpatient status, the hospital may not get reimbursed at all. In addition, observation status actually saves most patients - and Medicare itself - big bucks, said Keith D. Lind, senior policy adviser at the AARP Public Policy Institute. "It's not as cut and dried as some horror stories have made out," Lind said. "It's a double-edged sword." Typically, in the case of an outpatient under observation, a Medicare co-pay comes out to about a few hundred dollars. For inpatient treatment, there is a flat deductible of about $1,300. Though that means a savings for most patients, others may pay more for care they received while under observation than they would have had they been inpatients. The difference can be huge for those who need skilled nursing care after the hospital. The logic is hard to explain, as Lansdale-Abington's Wanner knows all too well. To start with, as he tells at least one angry patient a month, Medicare measures the length of a hospital stay in the number of midnights the patient has been there. If an attending physician expects that a patient will need more than two midnights of care, Medicare says it's OK to admit the person as an inpatient. That's known as the "two-midnight rule." That is opposed to the "three-midnight rule," which governs how long someone must be in the hospital as an inpatient before Medicare will cover skilled nursing care. Time spent on observation status doesn't count toward the three-midnight rule. A federal law that was supposed to take effect Aug. 6 would require all U.S. hospitals to explain - orally and in writing - what observation status may mean to any patient who has been in that category for more than 23 hours. Advocates say that is no help. "All that it can change is the element of surprise," said Casey Schwarz, senior counsel at nonprofit Medicare Rights Center, a nonprofit that works to ensure health access to seniors. And patients cannot appeal their status, Schwarz said. Worst of all, many patients don't get the rehab care they need when they learn it won't be covered, she said. In 2012, Medicare beneficiaries had nearly 620,000 hospital stays that lasted three nights or more but did not qualify for skilled nursing care because they were considered outpatients for some or all of the time. The three-midnight requirement discourages about 50,000 Medicare patients every year from receiving recommended rehab, according to a 2015 report by the AARP Public Policy Institute. "I don't know how a single piece of paper is going to solve that," Schwarz said. Dozens of medical organizations and advocacy groups say there is only one solution, and that would require federal legislation, said Jeff Bechtel, senior vice president of health economics and policy at the Hospital and Healthsystem Association of Pennsylvania. "Count observation time toward the current Medicare three-day stay requirement," Bechtel said. Toby Edelman, a senior policy lawyer of the Center for Medicare Advocacy, said the notice law only delays the problem. She fears that because Congress can believe that it's done something, "it isn't going to do anything more." Doctors can order whatever care, tests, and treatment their patients need, said Edelman, regardless of where they are placed in the hospital and what they are called. "Observation status is only a hospital billing issue and has nothing to do with what the patient needs or is provided in the hospital," she said. The three-midnight policy was created in 1965 to limit post-hospital care. In 1988, Congress waived the requirement, and Medicare expenditures on skilled nursing home care jumped 243 percent. The requirement was back in place a year later. Congress has mulled changes in the years since. The most recent bill, HR 1571, would count nights as an observation patient against the three-night requirement. "I encourage patients to write to their congressmen," Wanner said. But in the meantime, hope is not entirely lost for those unlucky enough to stumble into the observation trap. Even if you don't seem to be eligible for coverage, it is always worth submitting the nursing home bills to Medicare, advises the AARP Policy Center's Keith Lind. Here's why: In 2012 (the last year with available data), Medicare paid for more than 23,000 nonqualifying patient stays, about 90 percent of the total bills submitted, according to a federal audit. "We didn't believe it," Lind said. "We were shocked. But for 97 percent of the people who go to a skilled nursing facility without a three-day stay, Medicare pays those claims." What is not known, though, is how many people are too discouraged to even try. Bruce Rubin said he would submit the bills, but was not hopeful. Cynthia Morgan says she won't bother trying to get her money back. But she will keep telling her story, one that she says comes as a surprise to all who hear it. "By telling my story, I've tried to make good out of bad, help others by sharing."